Too busy for a spa break? We hear you. Set the scene everyday with the Ashford bath mat. In natural oak, it’s a nod towards Nordic design that will make bathtime more relaxing. We’ve been inspired by Scandi sauna mats. 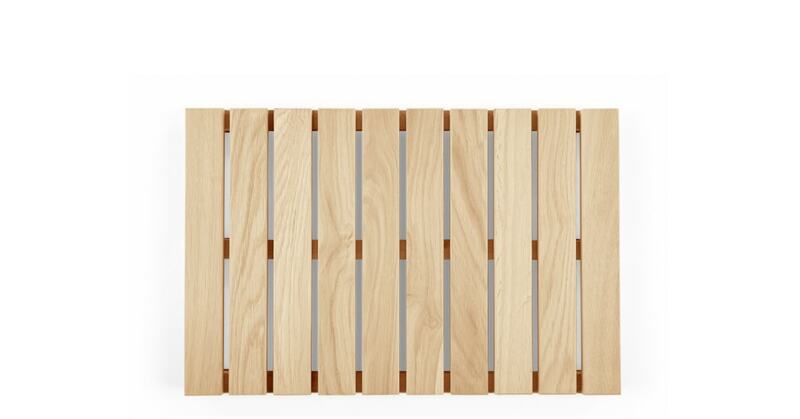 Designed for regular use, the slats are slightly raised, so the water drains away and dries off quickly. Very practical. The best detail? The varying tones, grains and knots of the oak - as true marker of its natural beauty. Plus, it means no two bath mats will be the same - you’ll own a totally unique design.